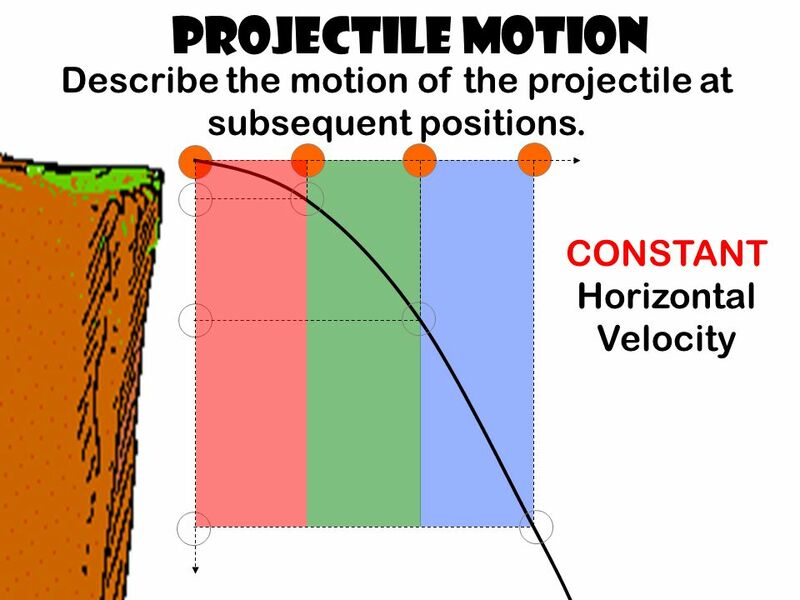 Projectile Motion vovo Launch a projectile horizontally from the top of a cliff. 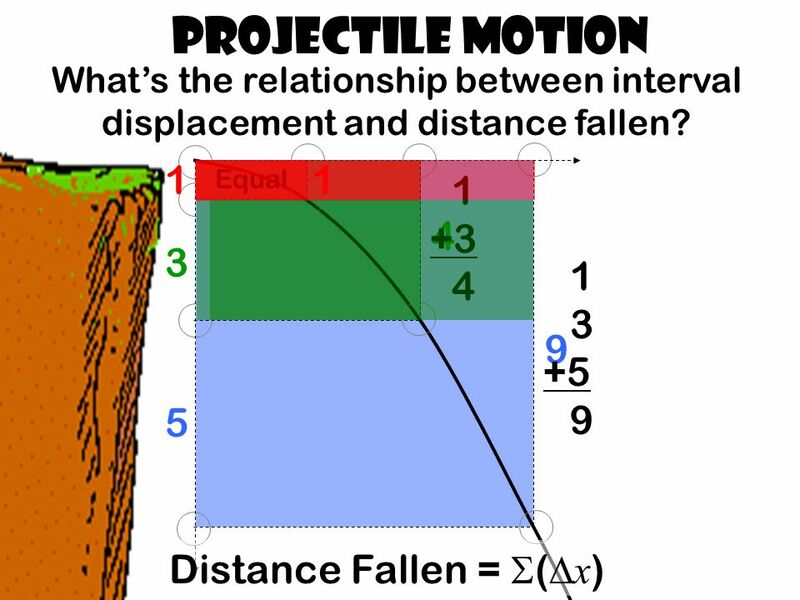 Draw the subsequent path of the projectile marking the position of the. 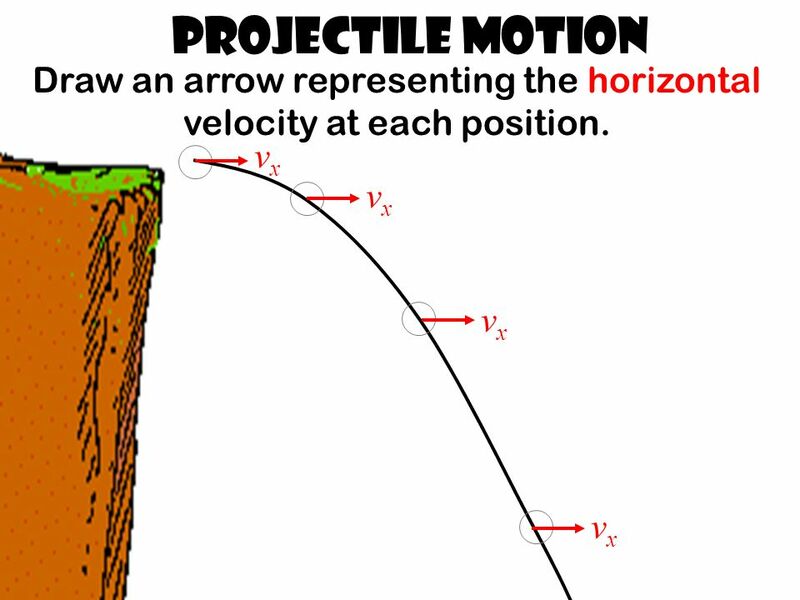 2 Projectile Motion vovo Launch a projectile horizontally from the top of a cliff. 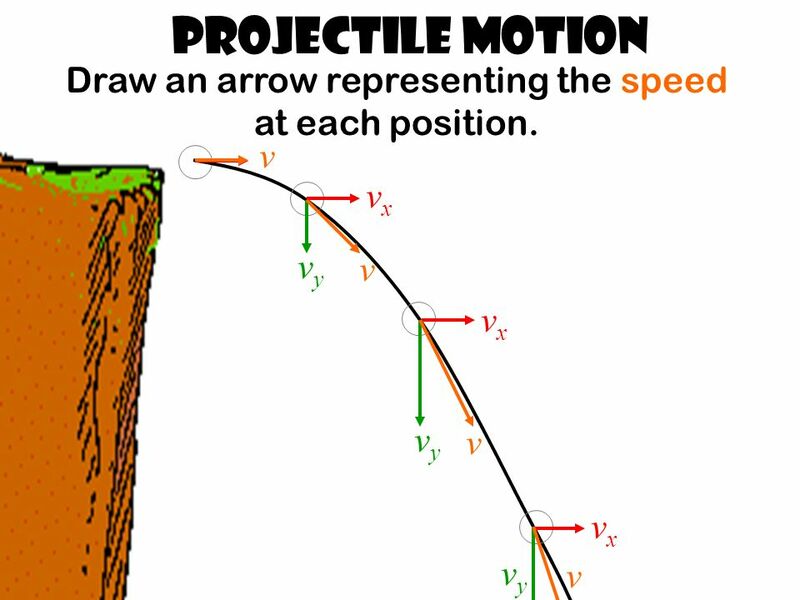 Draw the subsequent path of the projectile marking the position of the projectile at equal intervals of time. 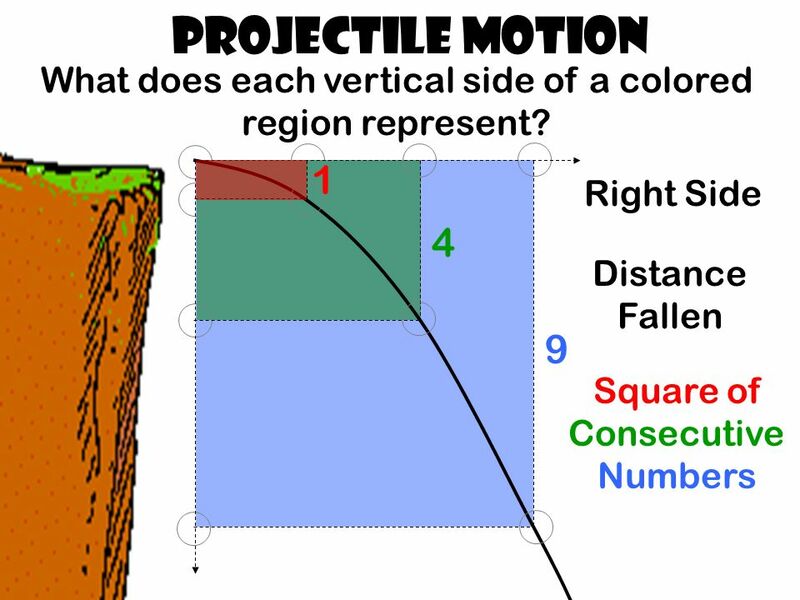 6 Projectile Motion Draw a pair of horizontal and vertical line from each position. Draw an outline of the projectile at each pair of intersecting lines Draw a horizontal and vertical line extending away from the the projectiles initial position. 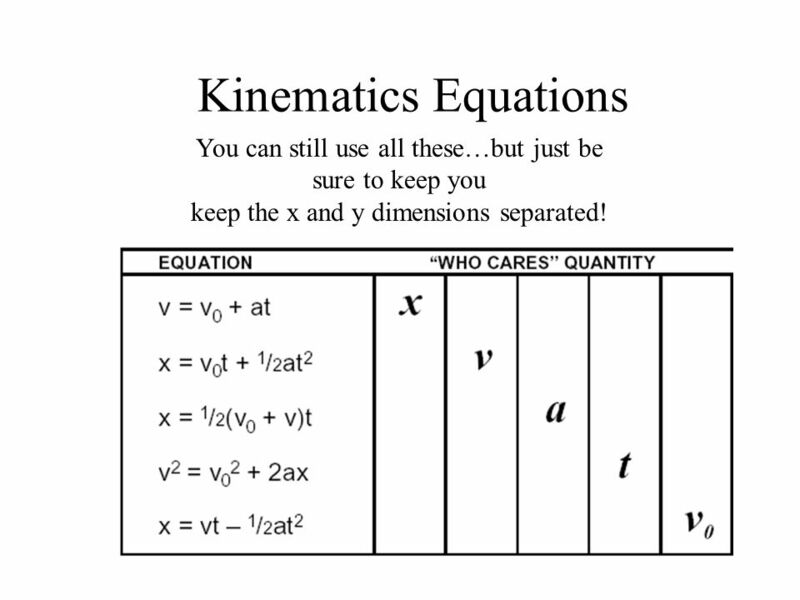 23 Kinematics Equations You can still use all these…but just be sure to keep you keep the x and y dimensions separated! 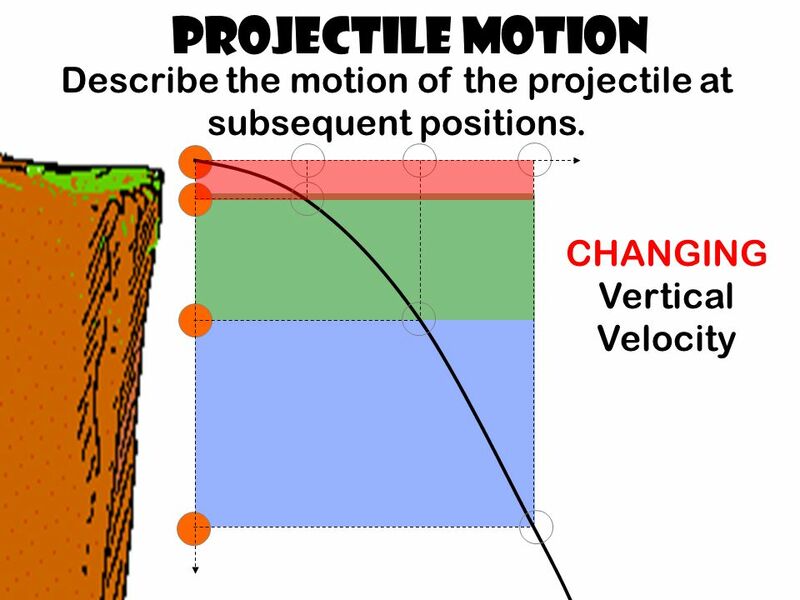 26 Projectile Motion Since VELOCITY is relative to the FRAME of REFERENCE, All projectile motion is FREE FALL in the appropriate reference frame. Therefore: The vertical displacements always exhibit: the ratio of squares and ratio of odd integers behavior. 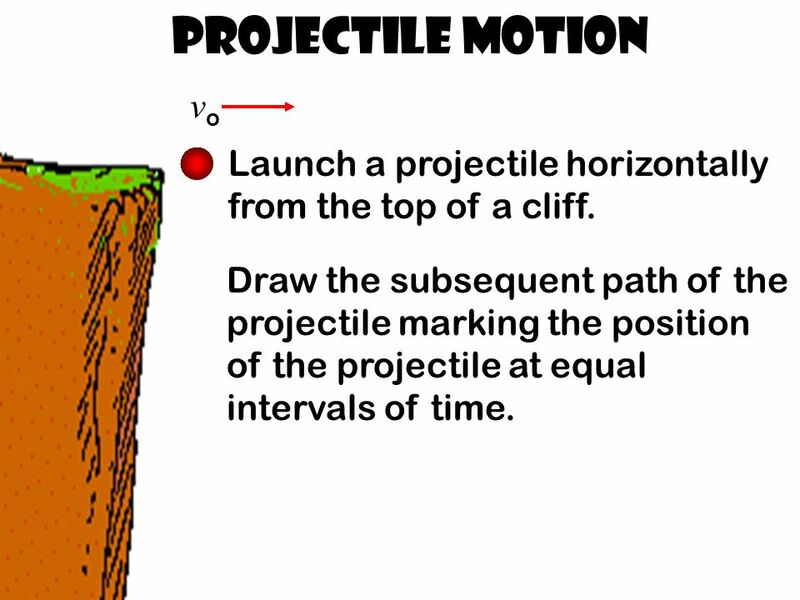 Download ppt "Projectile Motion vovo Launch a projectile horizontally from the top of a cliff. 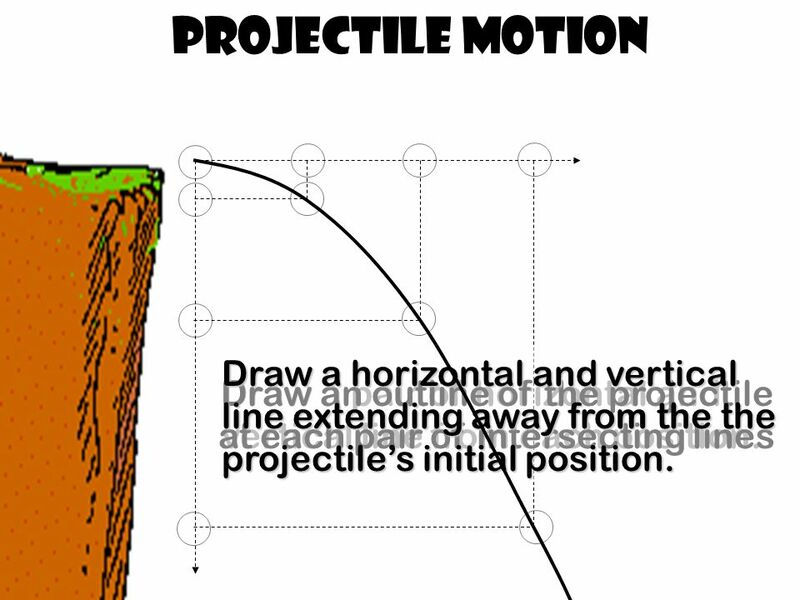 Draw the subsequent path of the projectile marking the position of the." 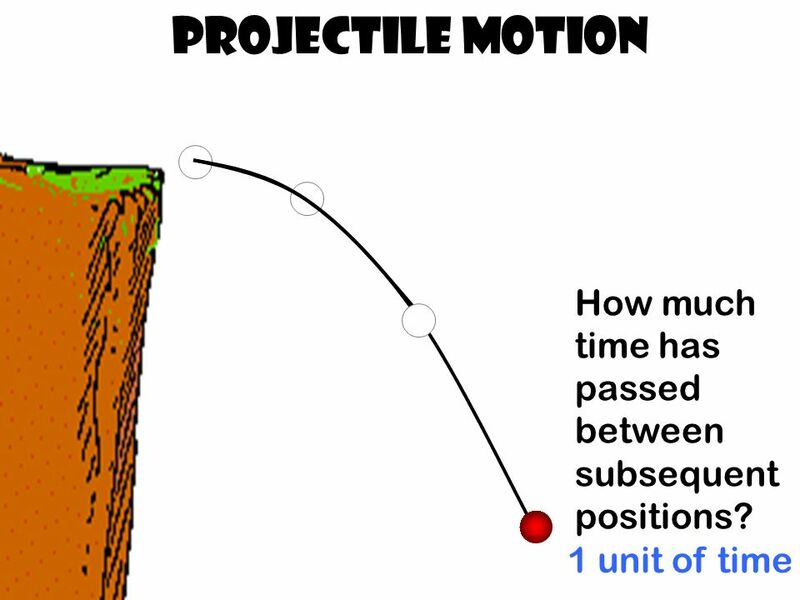 Projectile Motion Chapter 3.3. 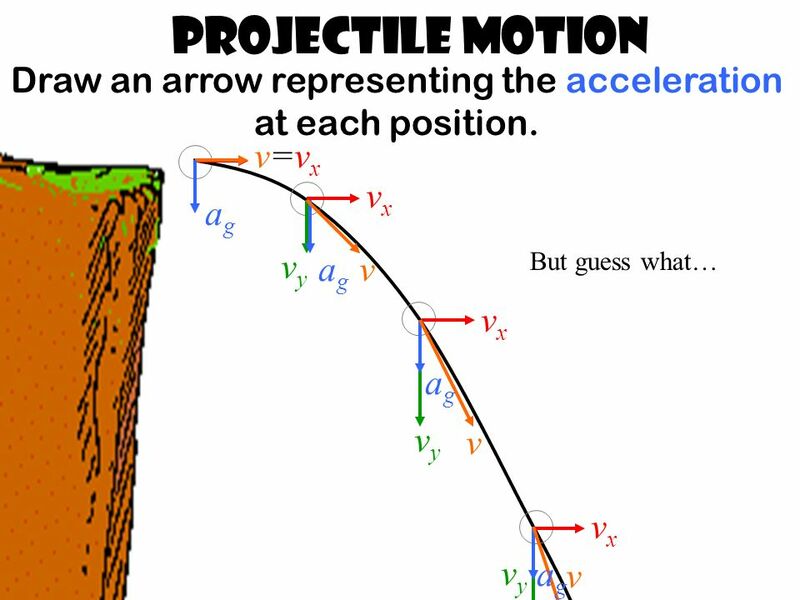 Objectives Recognize examples of projectile motion Describe the path of a projectile as a parabola Resolve vectors into. 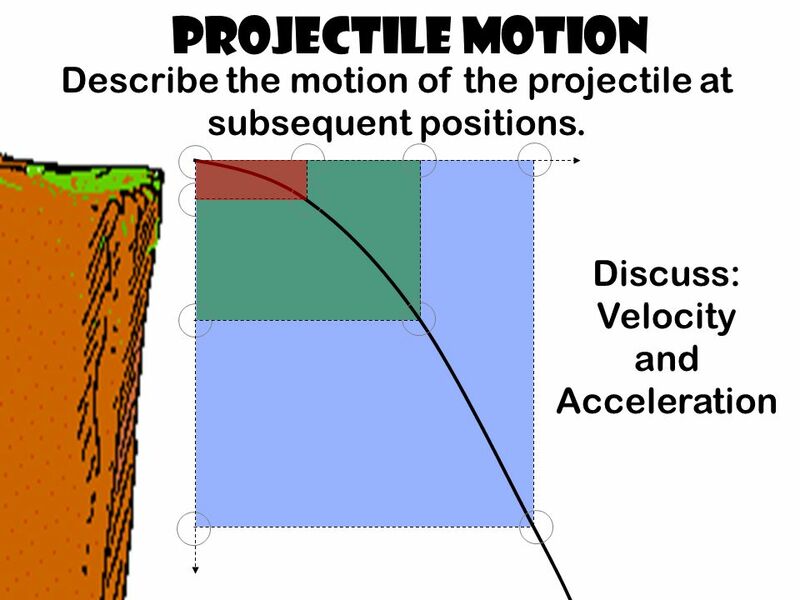 Chap 3 :Kinematics in 2D, 3D and Projectile Motion HW4: Chap.3:Pb.14,Pb.57, Pb.87 Chap 4:Pb.3, Pb.4, Pb.12, Pb.27, Pb. 37 Due Friday 26. 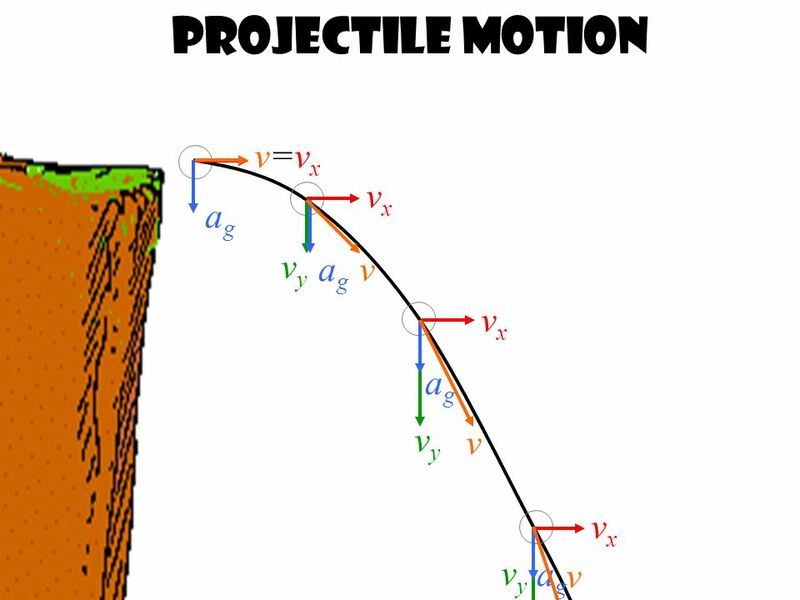 Physics  Free fall with an initial horizontal velocity (assuming we ignore any effects of air resistance)  The curved path that an object follows. 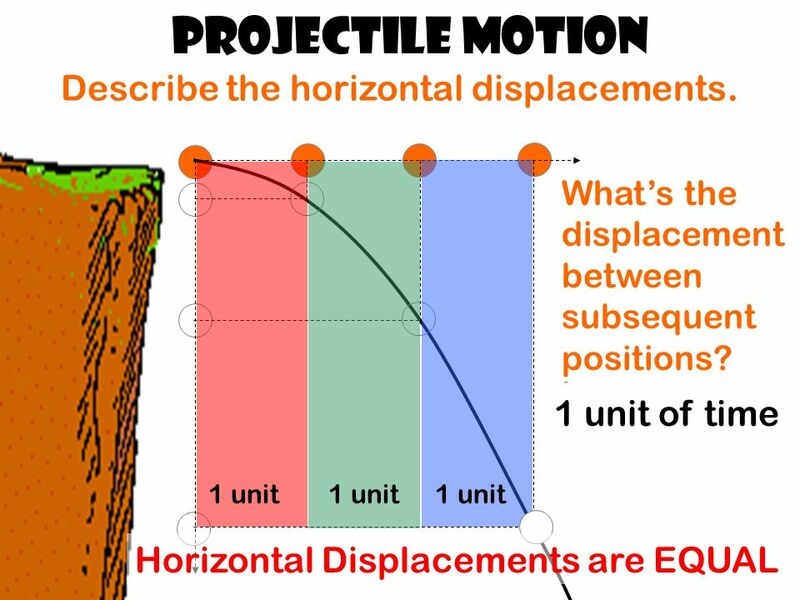 3-3 Projectile Motion Two Dimensional Motion of Objects  Projectile Motion – If air resistance is disregarded, projectiles follow parabolic trajectories. 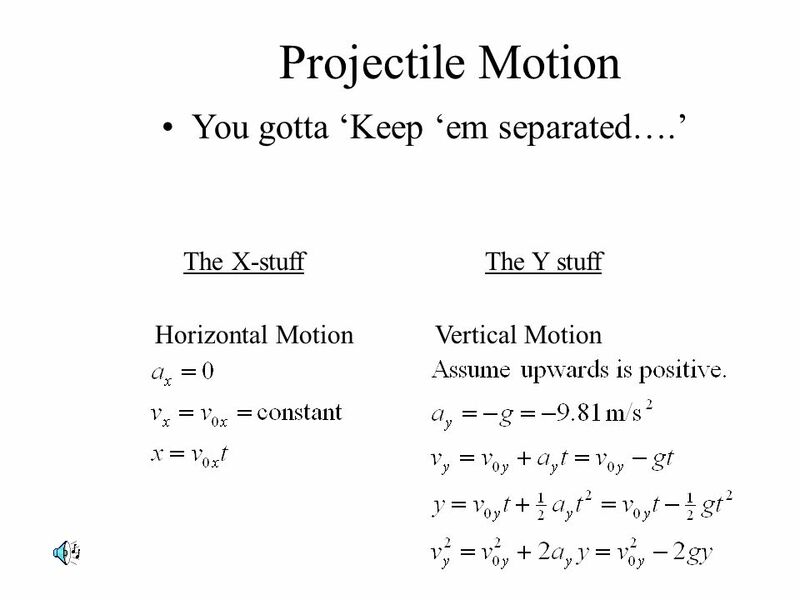 Phy 211: General Physics I Chapter 4: Motion in 2 & 3 Dimensions Lecture Notes. 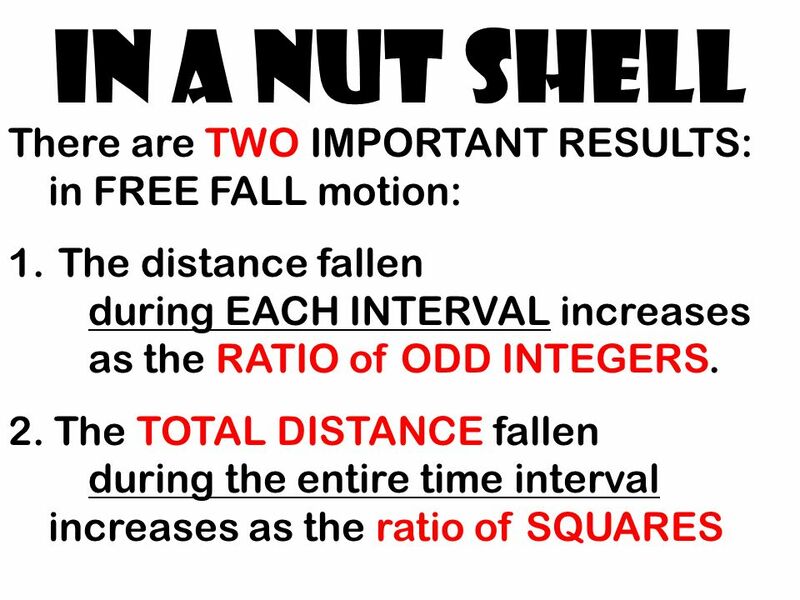 Introduction to 2-Dimensional Motion. 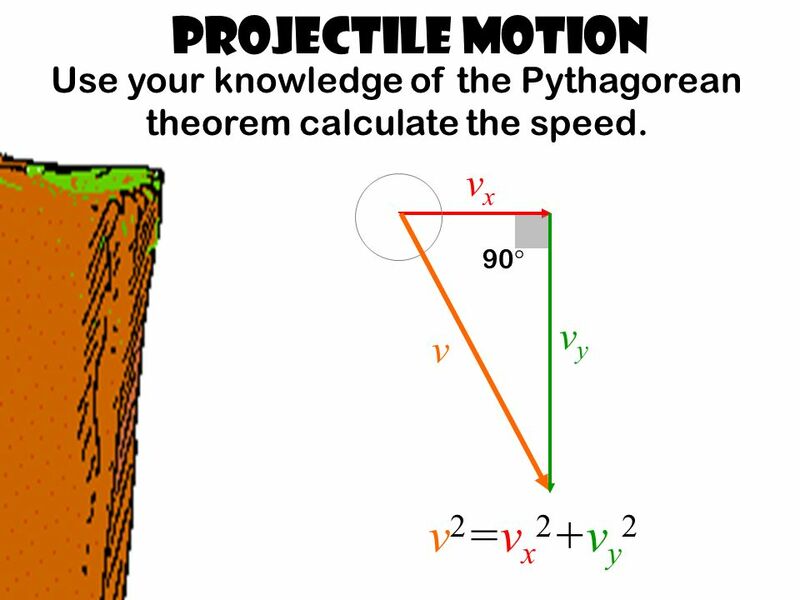 2-Dimensional Motion Definition: motion that occurs with both x and y components. Each dimension of the motion can. 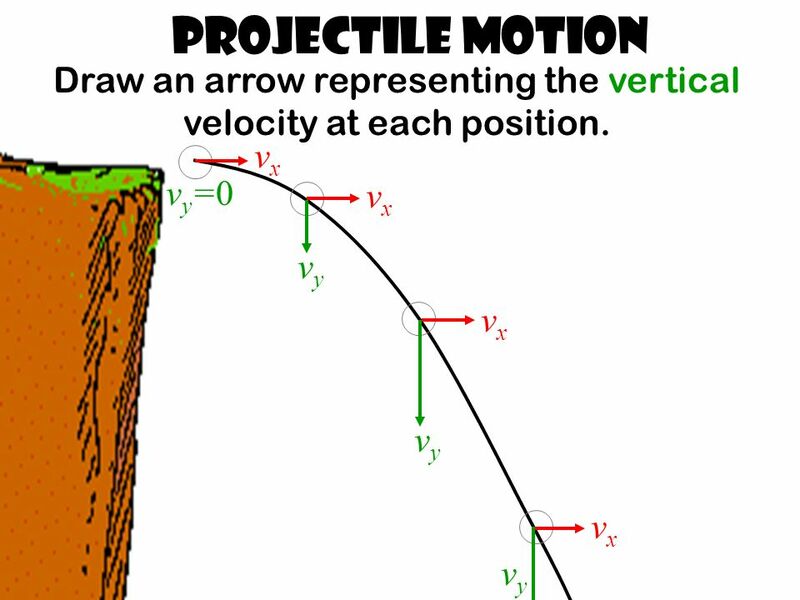 Projectile : an object acted upon only by the force of gravity Putting our SUVAT equations to good use. 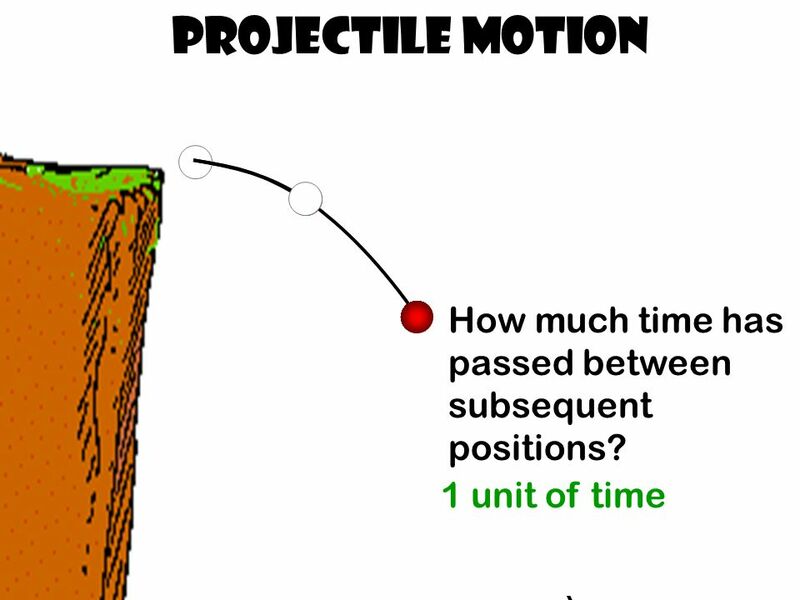 Projectile Motion Level 1 Physics. Chapter 3 Motion in 2 dimensions. 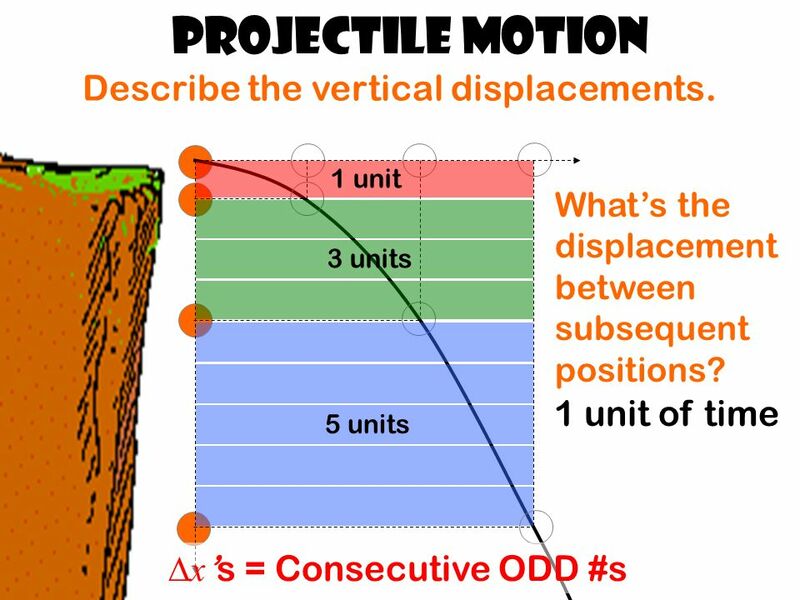 1) Displacement, velocity and acceleration displacement is the vector from initial to final position. 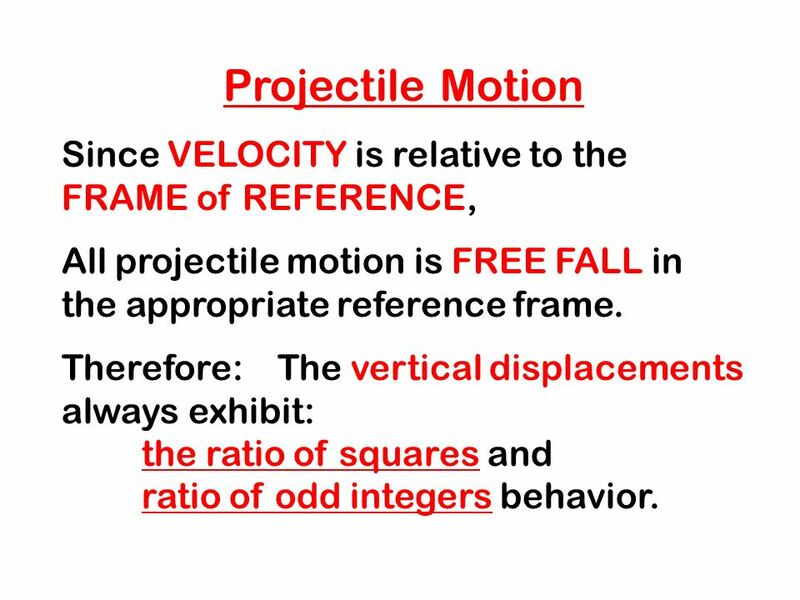 Projectile Motion Copy all info in the red boxes..
Principles of Physics.  motion along a straight line path, motion in one dimension  Which way are you headed?  How far did you go?  How fast are you. 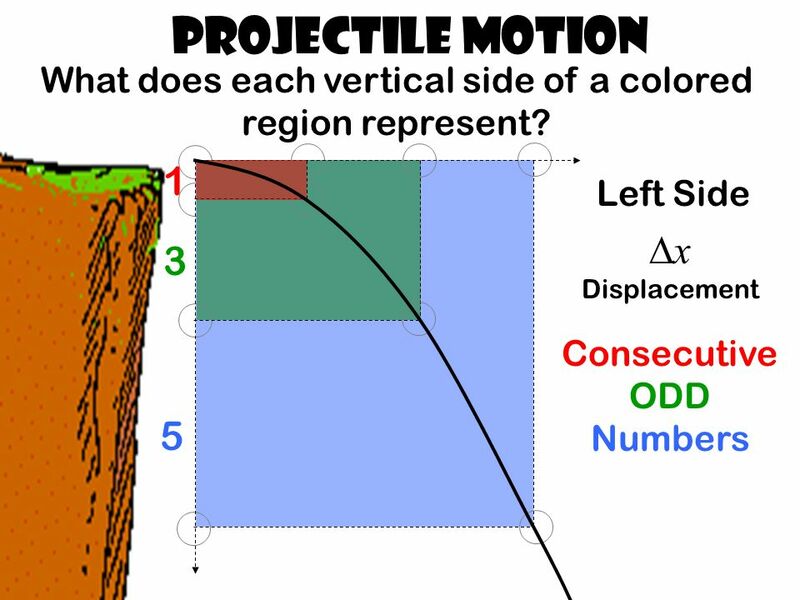 Kinematics in 2-Dimensional Motions. 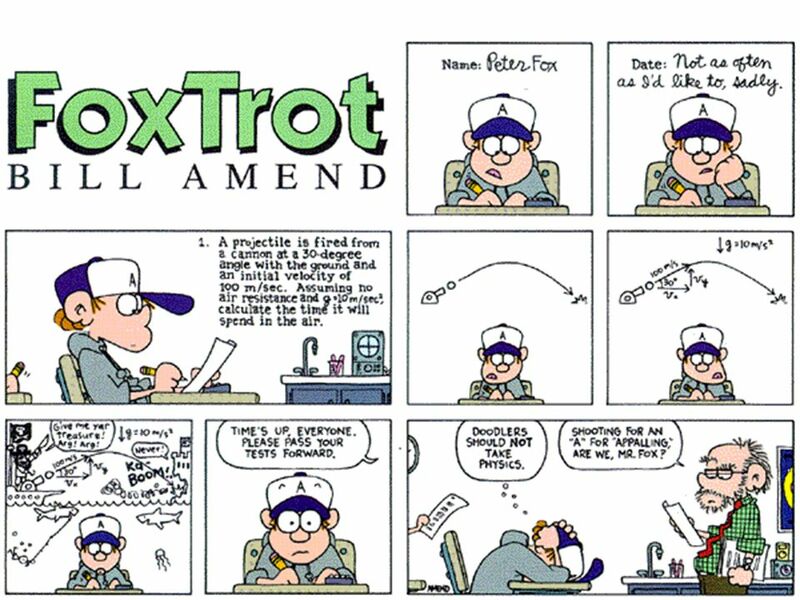 2-Dimensional Motion Definition: motion that occurs with both x and y components. Example: Playing pool. Throwing. 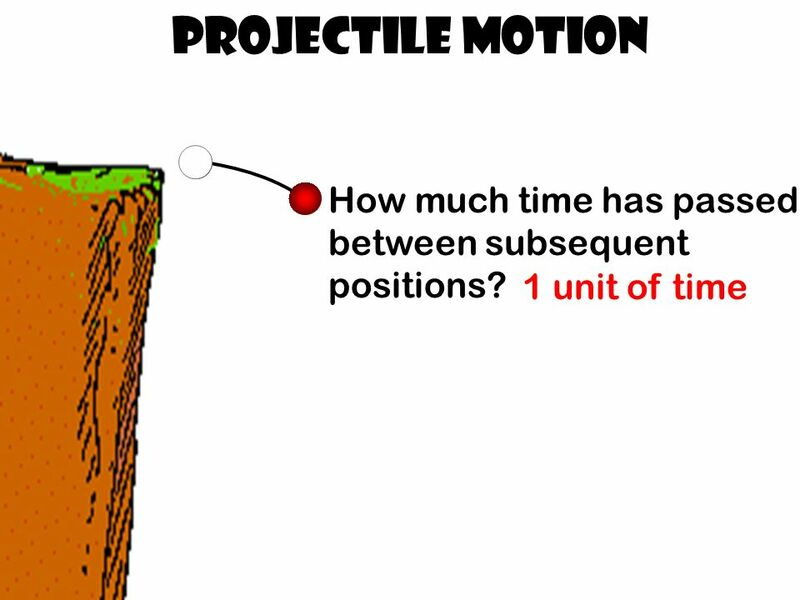 Projectile Motion Physics 12. 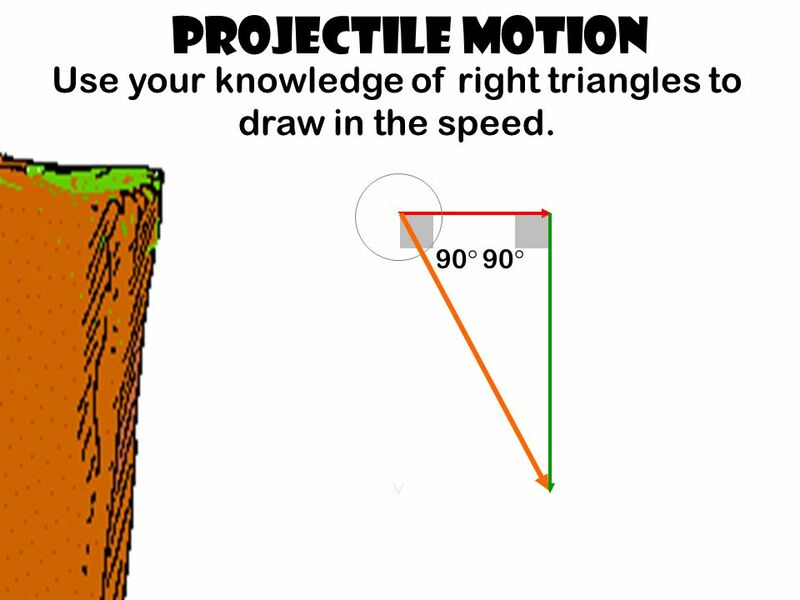 Motion in 2D  We are now going to investigate projectile motion where an object is free to move in both the x and y direction. Chapter 3 - Kinematics: Acceleration Bruce Chittenden.